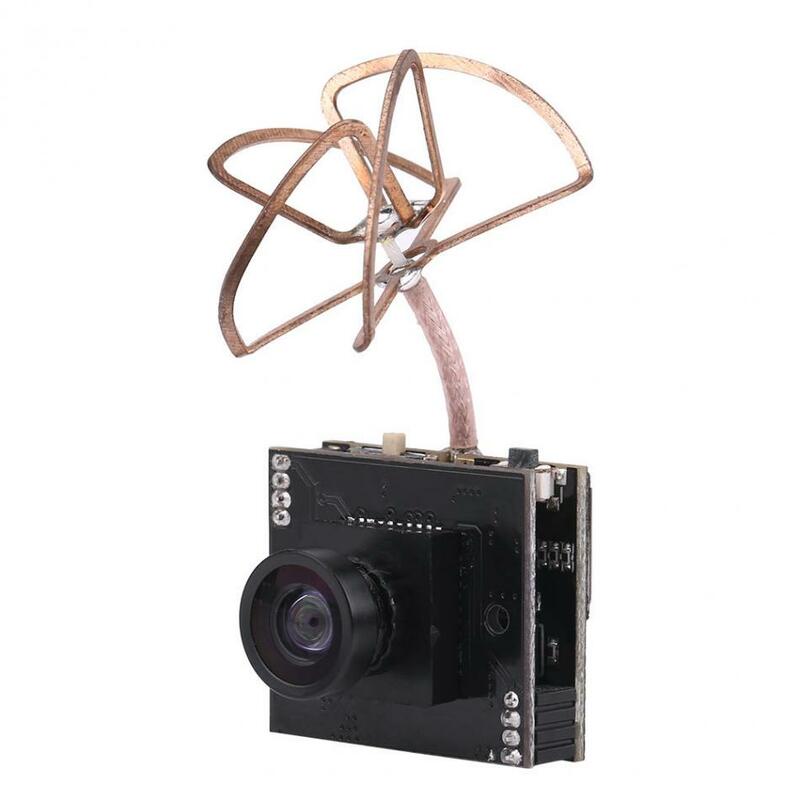 This camera is extremely lightweight, only 1.8g. It supports channel, frequency group and NTSC/PAL switch. 8 LED lights display channel, 6 LED lights display frequency group information and 1 LED display PAL/NTSC and flip information. Transmitter has 3 switchable powers (25mW / 200mW / 600mW). 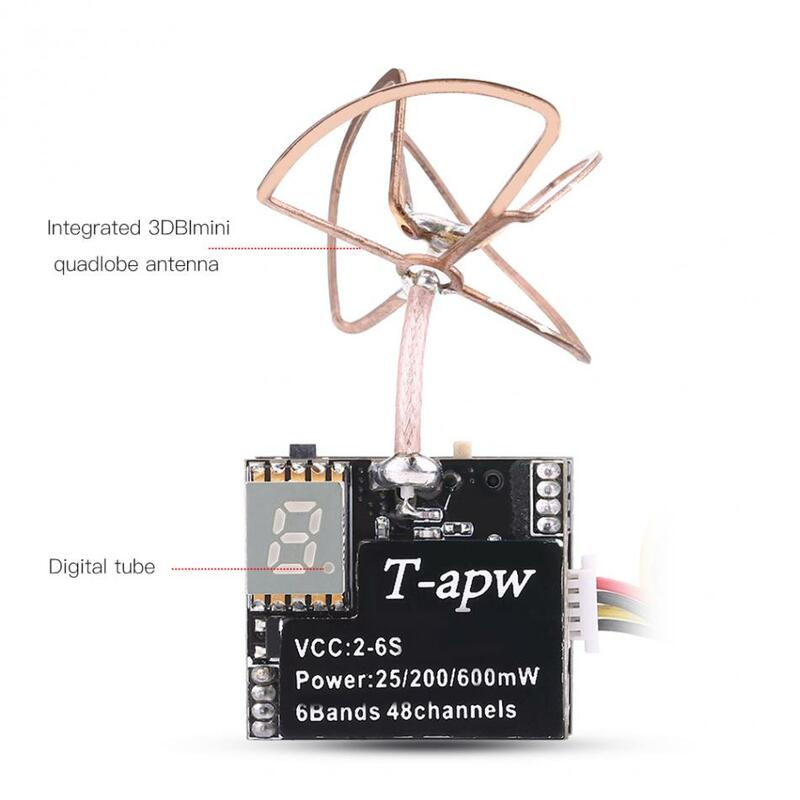 Transmitter is designed with 25mW, 200mW or 600mW switchable powers. 800TVL camera supports BLC and HLC. 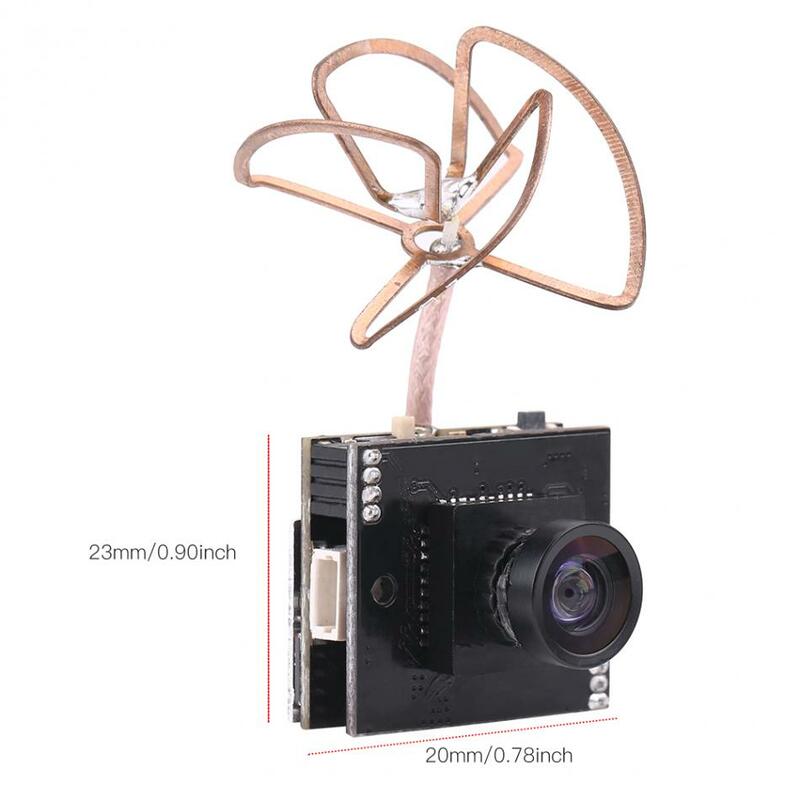 Camera, 3DBI antenna and 5.8G transmitter are integrated into one unit. Power-saving transmitter has wide input voltage. Frequency is fast to be locked, which will not interfere others even with power on. Mini size with light weight will not add extra burden to your fpv to ensure safe flying.